This week I uncovered a new favourite look which I shared here. These mint green pants by Zimmermann and the embroidered top to complement it has been getting quite the workout of late. Also I was able to shoot with my girls for a collab I did with Sally Hansen which was really nice. 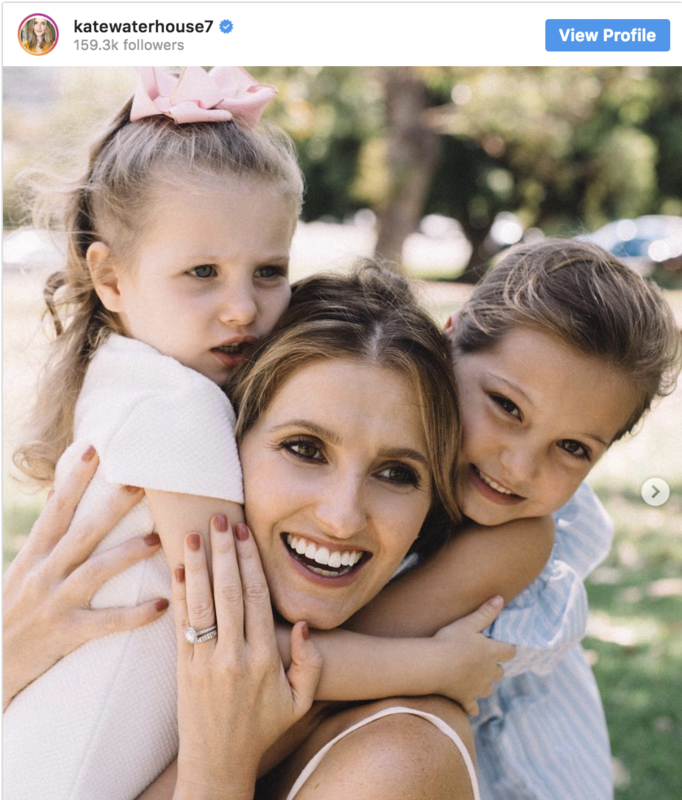 As a working mum it’s always when my worlds collide a bit and I can spend time with Sophia and Grace and still call it work. It was fun teaming up with with Sally Hansen to try a few of their great colours because I discovered a new fave called ‘Pink and Harmony’ which is just the right pink shade to take me through to autumn/winter. Every so often I like working a colour I don’t often wear into an outfit just to freshen things up. Case in point: I loved the light mint shade of these cropped pants by Zimmermann as it’s perfect for this time of year and helped add a fresh touch to my look. 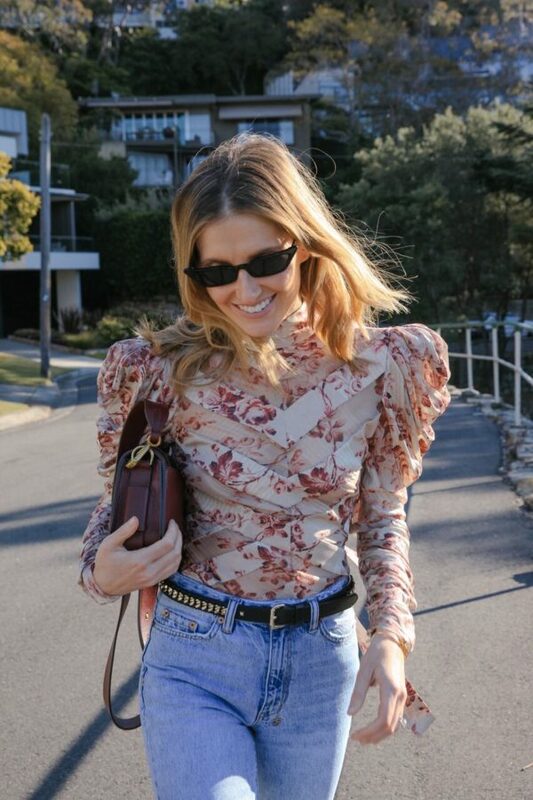 I have been gravitating towards all feminine 70s style pieces from Zimmermann’s latest collection (including this top I wore a few weeks back) and love how versatile they are. I can see myself wearing this blouse with other pieces in my closet like a pair of tailored shorts or high waisted pants. Working with a pastel colour, I decided to keep my accessories quite neutral and understated and I knew my beige Bottega Veneta heels and straw Helen Kaminski clutch would add an elegant touch. I find it’s a good idea to have a shoe with a little extra detail when you’re wearing cropped pants as you’re able to show them off a little. Given that the rest of my outfit is quite classic, I wanted to have a little fun with my sunglasses. And this pair of white glitter cat eye sunglasses by Emma Mulholland adds just the ideal playful element to my ensemble. Credits: Blouse and Pants, Zimmermann; Heels, Bottega Veneta; Clutch, Helen Kaminski; Sunglasses, Emma Mulholland. There are so many amazing things around right now that it was almost impossible to compile this list. Each month I fall in love with a few things especially hard so instead of keeping it to myself, I thought I’d share in case it’s something that might put a smile on your face too. As you can imagine my daughters are at the age where they’re heavily into dolls and there’s nothing they love more than looking after them, often role playing the things I do as a mum. 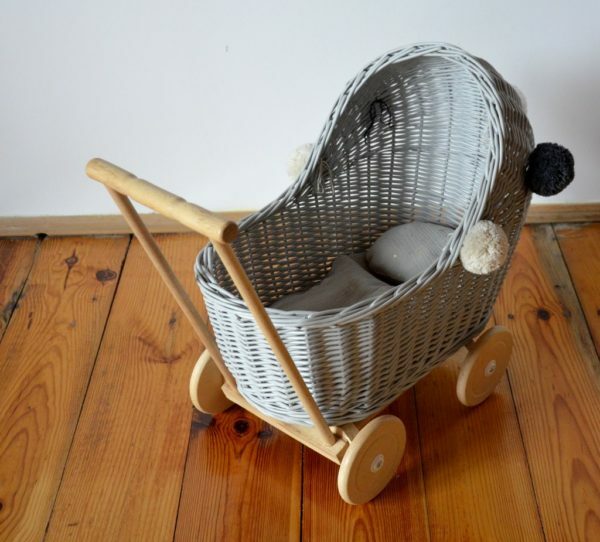 A doll pram is something they’ve been really wanting and I couldn’t resist the Lulu Vintage range that I found on a great store called Little French Heart. Not only is it beautifully made, the design is so cute and they come in a range of colours. The dolls in our house have been having a great time in them! It’s that time of year again where everyone wants to look sun-kissed. 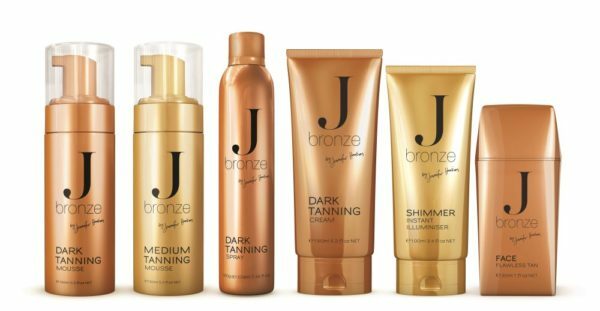 I don’t like baking in the sun so to get a golden glow I’ve been using the J.Bronze fake tan range at home and I’m seriously loving it. It’s really easy to use, comes in a range of shades and is available in a mousse, spray or cream so there’s a type to suit everyone. 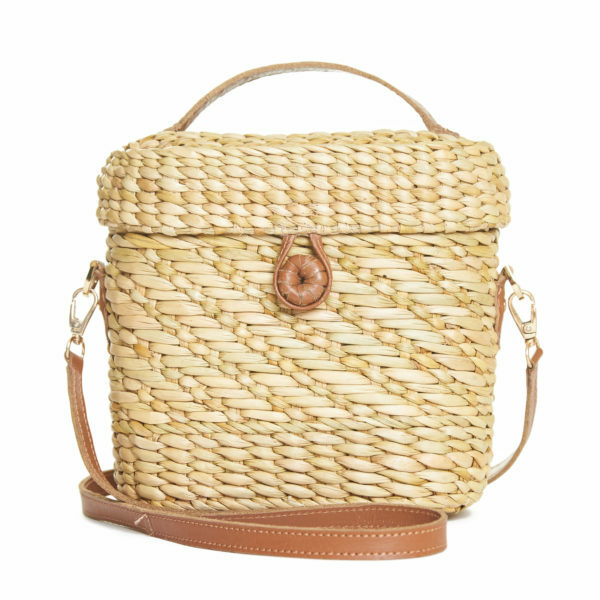 Natural textures are huge this summer and this raffia bag is a new fave of mine. It’s a great size for carrying around my essentials but not overly big and it comes fully lined with a mirror in the lid which makes for easy makeup touch ups on the run (especially when I’ve just come from the beach). It also ticks a box in that it comes with a strap so I can either carry it or wear it crossbody style which is something I tend to look for when it comes to any bag I own. I always gravitate towards pieces that are able to have a personalised touch especially when it comes to my accessories. 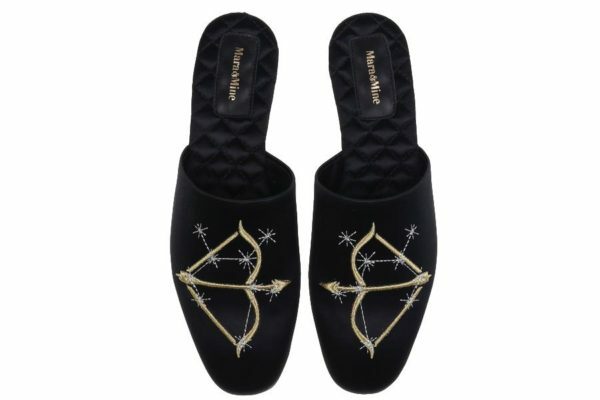 This is why I really liked these Sagittarius slippers by Mara and Mine. They’re a great shape and I liked the subtle embroidery, plus I can wear my star sign loud and proud. I think they’d make a particularly great gift. 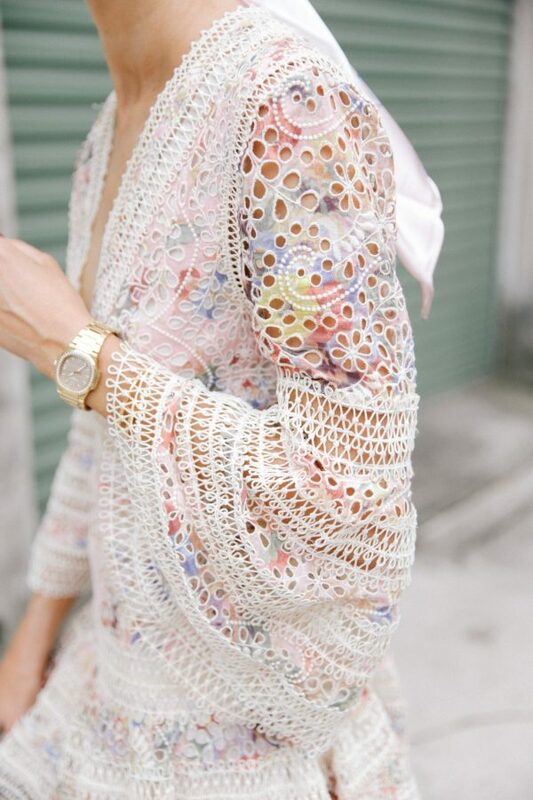 One thing I can’t get enough of this month is statement sleeves. One label doing them really well is Zimmermann. I think they’ve got the balance right between being bold and still being wearable and I’ve found them so easy to pair with several pieces in my wardrobe. If you’re looking for something a little different this party season definitely give this style a go. What’s in your top five this month? One of the things that I’ve found to be quite a versatile piece in my wardrobe is a statement top. Whilst there are some things that are just way too bold to achieve true versatility, I think there are definitely some elevated pieces that can still be styled in multiple ways. This cream Zimmermann top is one of them. With the elegant draping and dramatic sleeves it definitely has impact but I think the neutral tone means it can be easily paired with numerous colours and everything from a skirt to tailored pants and denim. For this outing I decided to pair it with a textured Isabel Marant tulip skirt with a metallic sheen. I think the futuristic vibe of the skirt provides the perfect contrast to the classic Victorian feel of the blouse. As I was already working with some strong silhouettes in my outfit I kept my accessories quite streamlined and simple. My new go-to Dior bag and Balenciaga sock boots were the ideal finishing touches. 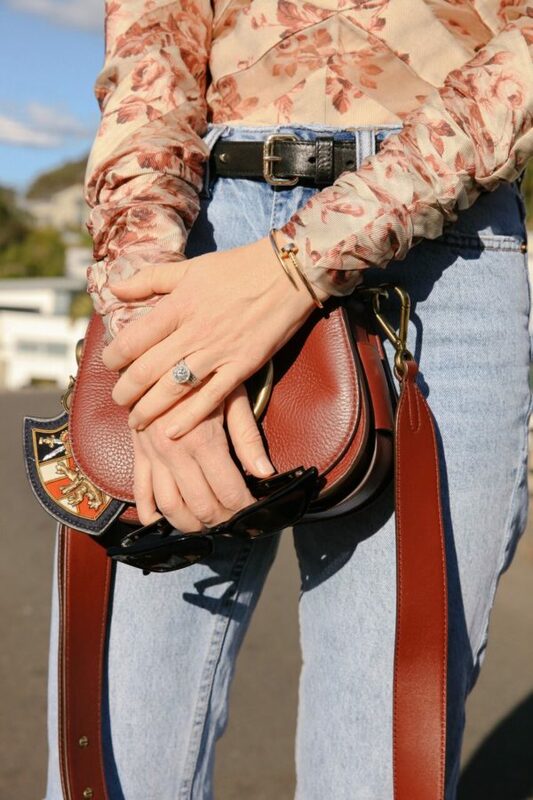 A structured bag works well to contrast the fluid, and slighter softer textures of the blouse and skirt, whilst wearing boots instead of heels helped ground the look. Overall it was great to be able to work with contrasting pieces and find a way to give them some cohesion without losing their individuality. There are pieces that I have in my wardrobe that are definitely more evening appropriate but that doesn’t mean that that should be their only purpose. Often looks that are for night events tend to be a little more expensive due to their style and construction, so to ensure that I’m able to make every fashion dollar stretch further I’ve taken to reworking them to be suitable for daywear. And it’s not at all hard or expensive to do. One way I’ve been doing the night to day transformation recently is with the below Zimmermann top which is too pretty to relegate just for the evening so recently I’ve been teaming it with jeans to make it more suitable for casual wear. This is something that you can easily do with other pieces in your wardrobe. 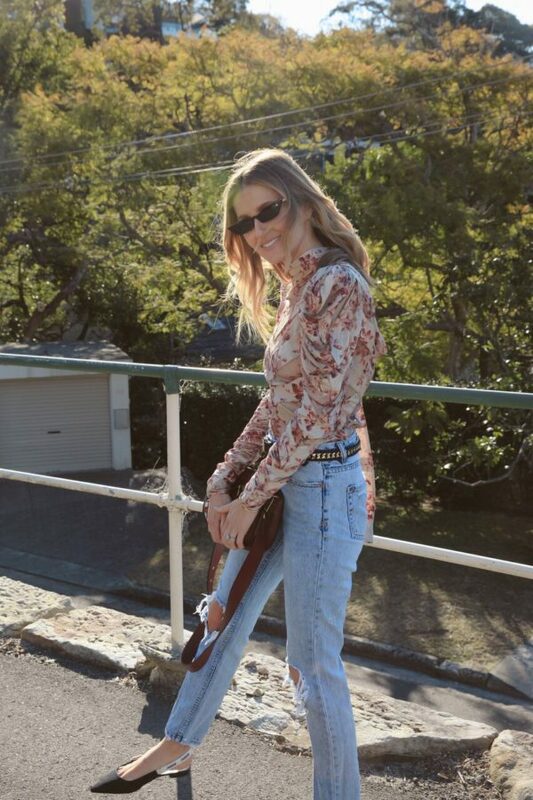 Often teaming something that’s a bit dressier with something more relaxed such as jeans can tone it down and make it appropriate for off duty style. I teamed this particular look back with a pair of slingback flats which are polished yet not too over the top for day and a mini crossbody bag. The end result was a laidback look but with just the right amount of polish. If I were to wear the top at night though it’s a different story. In the evenings I tend to favour a look that’s a bit more feminine and formal. So in this instance I swapped the denim over for a midi skirt in a similar colour palette as the top. And switched out the casual crossbody bag for a structured clutch with a chain strap handle which definitely adds to the nighttime vibe. I’d also go for dressy heels and leave the flats at home. Overall what I was going for with this particular look was something that’s a little more sophisticated and dressed up, lifted up by chic accessories that have a modern feel. I did the below transformations with just one top but you can do this with pretty much anything you’ve designated as ‘nighttime only’. All it takes is a few key choices that dial down it’s dressy feel for day, then swap it for elevated pairings at night and you’ve instantly got double the wear out of your wardrobe. I wear dresses non-stop during summer as they’re about as easy and as comfortable as you can get in an outfit. So it’s always nice to find one that is cool weather appropriate and can take me through the next few months. This striped ribbed dress by Zimmermann is such a great winter dress. It’s a heavy knit so is definitely nice and warm, whilst the sunny yellow and white stripes give it a light feel which is a nice break from the darker tones of my winter wardrobe. In this instance I opted to go a little dressier by pairing the dress with my black Alaïa heels. However I’m planning to swap out the heels for sneakers when I wear this dress when I’m in casual mode. It’s such a versatile dress that I think it could work with myriad shoes depending on the occasion. 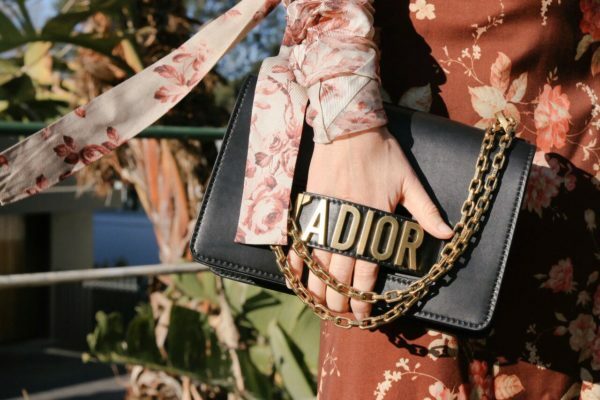 A simple Gucci clutch was the perfect complementary piece for this outfit. The colour tied back to my shoes while also being a great accent piece. I kept things simple with clear sunglasses to cap off my look. Who says winter dressing has to be heavy and dark? A dressy day look is made all the easier when you have the ideal dress to start with and this Zimmermann number with its intricate broderie anglaise finish perfectly fits the bill. The colours are vibrant, making it a great option for summer whilst the deep V neck and ruffled finish lift the look, and give the dress an overall feel that’s polished meets feminine with just a touch of playfulness. It is however the embroidery and bell sleeves that steal the show. The detail and added texture make it the standout element of this ensemble, whilst statement sleeves help give the look a bold touch. Simple white Gucci sneakers ground the look, whilst a vintage style scarf used as a hair accessory feels very of the moment and just the right vibe for this time of year. Zimmermann can always be relied upon to create a killer party dress and the latest collection doesn’t disappoint. With its statement blouson sleeve, lace chevron paneling and the perfect shade of blush pink, this particular frock is an understated and ladylike take on event dressing. Whilst the style is quite demure the deep V neck provides the perfect contrast, giving it just a touch of sexiness without being too over the top. I wanted to keep the rest of my look in the same soft tones so I went for a neutral Miu Miu clutch and Chloe sunglasses with a delicate rose gold frame. I think a party look needs one eye-catching element and in this instance I opted for my gold Gucci heels which adds a pop of colour and just a hint of glam.